Worldwide travel destinations are something most of us only dream about. But every now and then some van campers push things just a bit further and head out to discover the world. Explore, dream and discover is the only thing that exists in the mind. And their backyard is not exactly the place they want to stay at for the rest of their life. It happens to me all the time. The place I live, well it's just fine and all that, but every now and then I crave for a change of scenery. I'm perfectly happy with myself once I hit the road. I traveled around Europe and it is a great place to travel, but sometimes I need a new experience in my life. Something different, with more colors and a new taste and aroma. 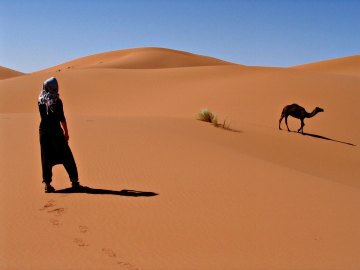 My wife and I chose to travel to Morocco in our camper van. Something new and fresh for a change. A change of scenery we both needed. You can read our story in two parts, just to avoid one web page being to long. 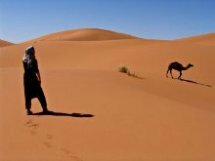 So it's Morocco 1 and Morocco 2 for you to read and enjoy. And it's so close to Europe, that not traveling there would be pure insanity. But that's just one of the possible worldwide travel destinations. And a camper van does have freedom and adventure written all over it. Share your best camper van adventure using the form below! 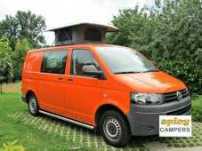 One way you can do it is a camper van rental. 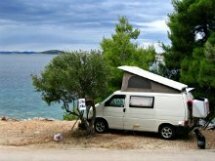 Most of the top destinations offer camper van rentals/hire for every taste. 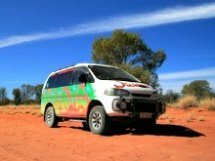 With a camper van you get to travel at your own pace, go places that you want and stay where you want. All at the comfort of your home on wheels. Another way of seeing one of your favorite worldwide travel destinations is buying a camper van at your destination. 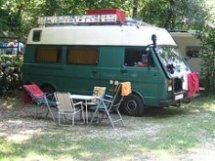 You can try to find a dealer that will buy the camper van back from you at the point of your destination or sell it by yourself. Worldwide Travel Destinations - How And Why Travel ? If you really wish to see the world on your own and in your own camper van conversion you have many ways of doing so. Money of course is always the main issue here. Amanda and Rich Ligato quit their jobs, left their home, packed everything in a 1978 Volkwagen camper and set out to discover the world. On your left is the book about their road trip of a lifetime and how they did it. If you have a solid budget and a profession that will get you the same or another job as you come back, you're all set to go. You can try to get sponsors, various donations and write a book after you return. What will you do for a living after that? Something new maybe? Build a website like the one you're reading right now, earn money on-line and become a Digital Nomad. Just one of the possibilities to get you on the road. Getting of the grid and taking the helm of your life in your hands is not always easy. It takes a lot of organizing, preparation and a stable state-of-mind. And you have to do it all by yourself. That's exactly what Marianne and Randy did and they've been traveling around North America in their camper van the cheap way for years now. 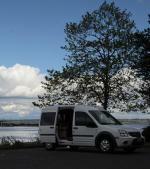 Marianne also wrote some excellent guides for affordable adventures and RV Boondocking . You can buy them on their website by clicking on the banner just below. Once you firmly set your goals, nothing can stop you from reaching your favorite worldwide travel destinations. 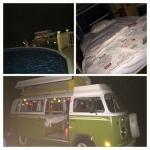 Kind of like Steve and Wendi Robbins on their Worldwide Odyssey with their trusty old 1972 Westy. The plan is that... well there is no plan or at least it's a four letter word they like to avoid. But why on earth do some of us need to push things just a little further? "Travel is fatal to prejudice, bigotry and narrow-mindedness and many of our people need it sorely on these accounts. Broad, wholesome, charitable views of men and things cannot be acquired by vegetating in one little corner of the earth all one's lifetime"
It's all about the experience. That's why we live. We are not here to sit in our favorite chair just to watch dumb TV shows and play video games on our computers. We are here to experience the many different aspects of life. No wright no wrong, just the experience. Lots of art and passion inspired Emily & Adam on deciding to take their young child all the way down to south America in their Westfalia Vanagon. That's absolutely my way of raising a child and living your life as an adventure. Some people continuously travel and explore different worldwide travel destinations for many years in a row, others come home, but only until their next camper world adventure. They have no need to stay in one place. The world is there home and the people of the world are their friends. And Your Best Camper Van Adventure Is? Have you ever been somewhere really exciting, a place you'll never forget, the best camper van adventure you ever had? Would you like to share it on my website? If you do, I would love to hear that story! And so will all travel & adventure enthusiasts reading this page.